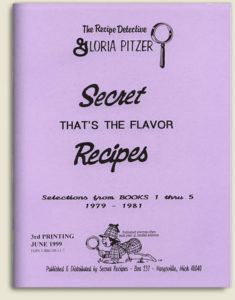 1988 – That’s the Flavor was written, illustrated and published by Gloria Pitzer (Secret Recipes, St. Clair, MI). 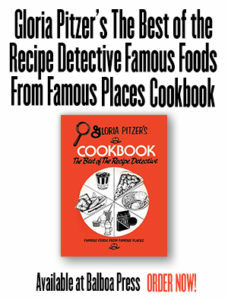 NO LONGER IN PRINT – this cookbook is a collection of favorites from Gloria’s “Books 1-5” series. 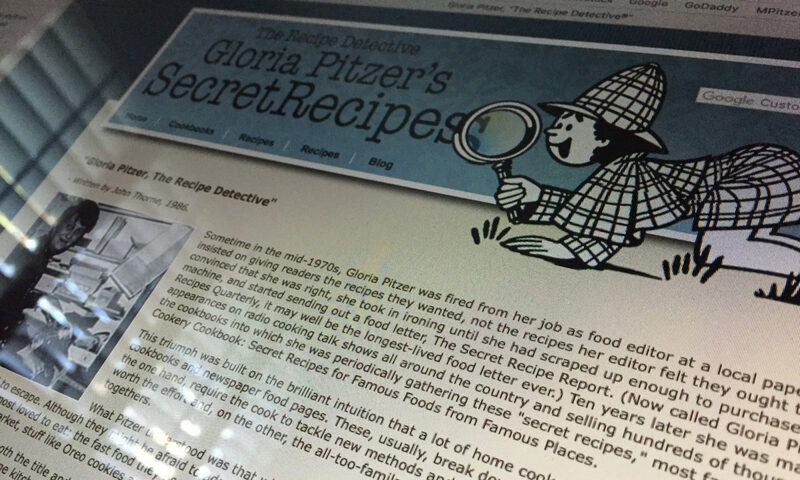 Priceless reprints of the recipes that put Gloria Pitzer, Recipe Detective, into The Guinness Book of World Firsts and made her part of a question/answer on TV’s popular game show, Jeopardy! 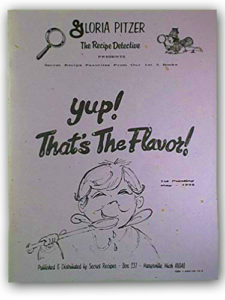 Over the years and various printings, the sub-title and cover changed a little from the original (as shown in the pictures above); but, the main title, That’s the Flavor, remained the same. 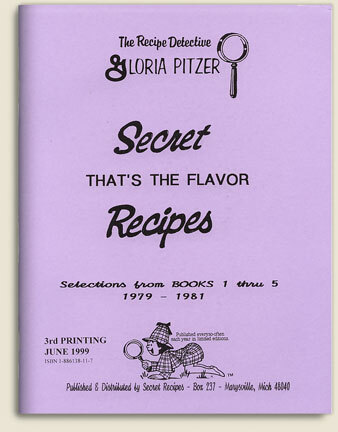 The 60-page, 8.5″ x 11″ format also remained the same, with 336 recipes listed. It may have originally sold for $8.75; but, records indicate it sold for $9.75 in 1999, until it sold out a year or two later. Price: originally; may have been $8.75; but records indicate it selling at $9.75 each by July 1999, until it sold out.